After a long and agonizing wait, baseball is almost upon us! Sure, the pros don’t start until late March but college baseball serves as an excellent primer for fanatics. 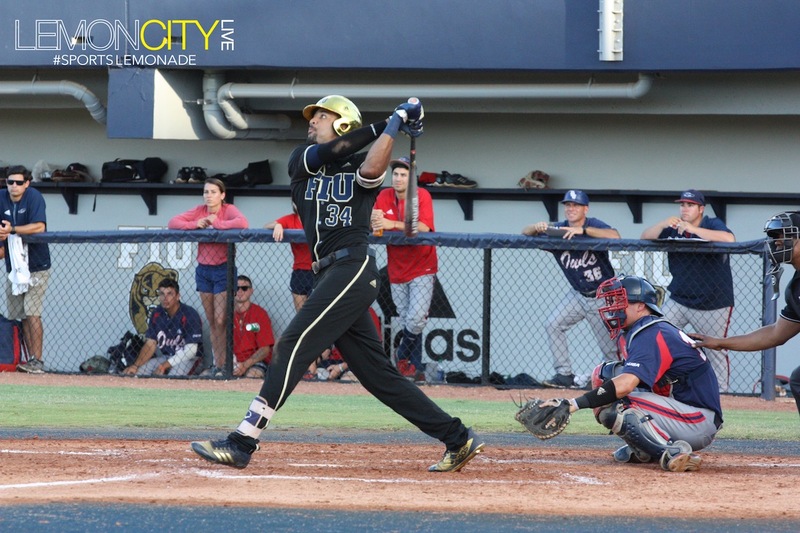 Leading off what will ultimately be three separate baseball previews is FIU Baseball. For those wondering, UM is on deck with the loveable Miami Marlins in the hole. So without further ado! The Panthers finished the season 26-28, including a 15-13 record in conference play. While not a winning season, the Blue and Gold had a lot to be proud about especially on offense. The team smashed a combined 65 home runs, the third best in C-USA. They also had the second-best slugging percentage (.448) and batting average (.287), both behind the eventual conference champions Southern Miss. So what about this year? Coach Mervyl Melendez and company return along with 26 other familiar faces. However, one in particular will be missed: Eddie Silva. The Bash Brother led the team with 16 dingers and 48 RBIs while slugging a team-best .686. His batting average was a cool .321, the fourth best on the squad for the year. He isn’t the only one. Andres Nunez led the pitching staff, finishing 6-2 with a 3.42 ERA in 68.1 innings of work. He punched out 77 hitters while giving up 21 Walks. Hopefully, the returning players along with this year’s new crop of freshmen can step up and fill the void left by these two great players. The order isn’t necessarily indicative of anything but this guy, is going to be making waves this year. His slash line last season was a .344 batting average, augmented by nine HRs and 29 RBIs. He led the team in Runs Scored (49), Hits (73), and Doubles (11) making him one of the squad leaders this year. He was named second-team preseason All-American by Baseball America and also named on the Conference USA Preseason team. Shenton has flashed enough power to lead me to believe he can dish out 12-15 homers this season from the hot corner. If there was one area he really needs to work on, it’s his fielding. Shenton led the team in errors with 11. The Southpaw is more than capable of not only dazzling on the mound but doing damage at the plate. The former 2018 freshman All-American by D1 Baseball and 2018 Conference USA Preseason Freshman of the Year (Also by D1) had a .309 batting average, going yard twice while collecting 16 RBIs. Not bad for a pitcher. Did I mention he also plays first base? Allen led the team with 85 strikeouts, sporting an even 5-5 record and a respectable 3.89 ERA. All while issuing only 16 walks. He was also named on the Conference USA Preseason team alongside his teammate. I am still lowkey hoping he gets tapped to duel Miami’s Evan McKendry in what would be an exciting matchup between young pitchers. Since we’ve touched upon the mound, I figured we’d showcase another hurler. MacDonald finished the year 3-4 (4.26 ERA) with 67.2 IP, 69 K’s and 28 Walks in 11 games started. The now veteran righty will be an even greater part of the pitching staff with his success a key part of the team’s overall performance. After an effective start to the season his first three games, MacDonald was up and down throughout the year. He’ll be looking to improve on his stat line and seek to be the ace on the mound. Slashing .278 with nine homers and 35 RBIs, the senior outfielder also contributed 30 Runs Scored and 49 Hits. However, his struggles at the plate tempered his potential, striking out 55 times, the second most on the team. On the flip side, he drew 17 walks. The Miami Lakes native will certainly try to improve plate discipline and crack 10+ home runs while patrolling the outskirts of the field. Here’s hoping he doesn’t lead the team in winning the “You’re Killing me Smalls!” award. Given his ability to flash some power, the hope is he’ll become a full fledge Bash Brother to help the team continue their impressive power surge. Senior Outfielder Lorenzo Hampton, Jr. Speaking of, this player is one of the last of 2018’s Bash Brothers. This backstop is a classic heavy hitter. Garcia ended the season hitting .264 with 13 homers and 38 RBIs. He also whiffed 65 times. That’s the most on the team. The brother from another mother did draw the most walks (30) due to his power. If he can cut his K’s by half lets say and keep on drawing BBs, our catcher stands to nab 45-50 RBIs and I’ll go out on a limb and say he’ll hit 15 home runs this year. Last but not least, we have another member of our Outfield Corps returning. J.T. led the team in batting average (.345), lacing three doubles, smacking four home runs and notching 15 RBIs. He also led the squad in triples with four. The average is very nice but he will need to more than double his slash line to help the team produce more runs. 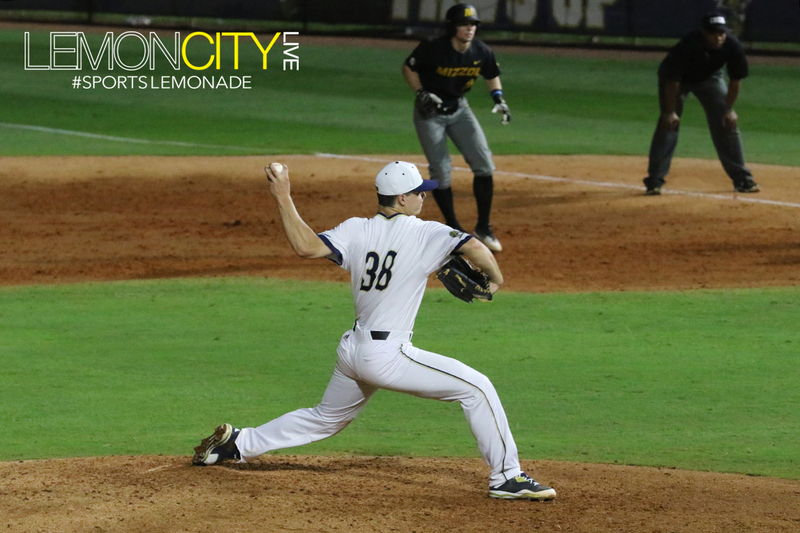 Despite the power hitting and batting average, FIU was seventh in runs (309). To put it in perspective, Florida Atlantic finished with 411 runs while Southern Miss led C-USA with 493 runs. Yeah, there is a lot of room for improvement not only for Teixeira but for the team as well. Due to the dynamic of collegiate sports, programs across the country enjoy their star players for a relatively brief amount of time. It’s why schools are always seeking to bolster their incoming freshmen class, knowing they won’t have any lifers on their teams. This goes for any sport at this level. If they’re lucky, they’ll get four seasons out of the kid. If he’s really special, then you just might have him for a season or two before he declares for the draft. That’s why the various universities and colleges have to bring their A-game to ensure their ability to compete year and year out. Once again the Panthers did just that. For the second year in a row and third time in program history, FIU brought in a Top 25 recruiting class. The rankings, created by Baseball America, are made after the MLB Draft. It considers the players that chose to play college baseball and the players that opted to sign pro contracts. Not only did they achieve this, but they also improved on it, going from being ranked 21st last year to 19th. And so, it’s time to briefly introduce you to a quartet of players who make up this year’s effort to assemble the best talent around. First off we got a youngster named John Rodriguez. According to Baseball America, the first thing you’ll notice about him is that he’s an excellent defender ready to compete in the shortstop position. The Tampa Bay Rays pick is still developing offensively but has the tools to become an impact player at the plate. 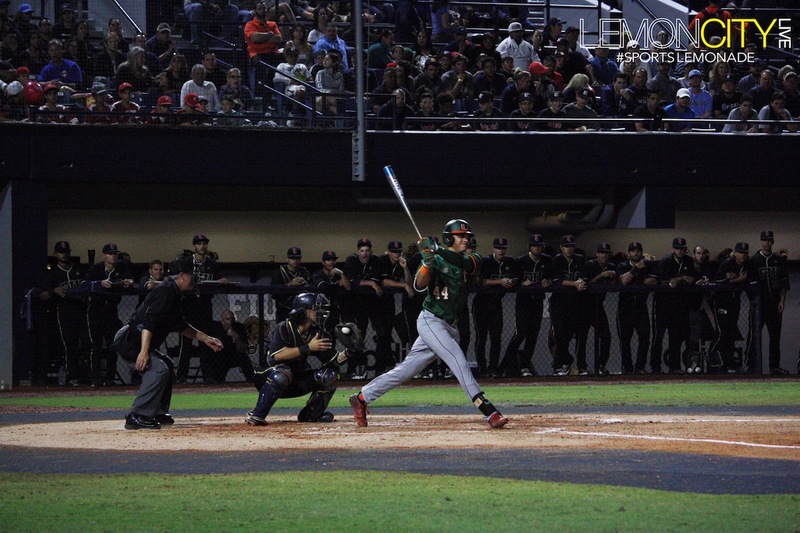 Rodriguez played at Marjory Stoneman Douglas, batting .347 with four HRs, 16 RBIs and seven stolen bases. He is ranked 67th in the country at his position by Perfect Game, 12th in the state. Next up is a fella named Jarret Ford. Hailing from Decatur, Georgia, he’s classified as an above-average runner with good instincts on the base paths, per Baseball America. Ford is looking to hit at the top of the lineup with the possibility of playing up the middle, either at second base or in center field. According to Perfect Game, he is ranked 34th in the country as a second baseman and 4th in the Peach State. Our third showcased Freshman is Chris Williams. Christopher was selected by the Cincinnati Reds. He was initially looked at as a two-way player but late in his high school career he strongly gravitated towards being a hitter. Baseball America sees the lefty as average in both power and running with a loose swing, likely seeing time in the outfield. Over on the mound, his fastball can go as high as 91 mph. Armed with a slider, Williams will be an asset on the pitching staff. Logan Allen is probably happy to have a fellow two-wayer on the team. Closing out this segment is Franco Aleman. Aleman is the recipient of several awards according to the team website: Pre-season Perfect Game 2nd team All-American, Collegiate Baseball 1st team All-American, District player of the year and All-State First Team. He finished his senior year with an impressive 9-1 record, brandishing a cool 0.58 ERA, punching out a grand total of 106 batters over 72 innings of work. And if you’re wondering about his control, he only issued six walks. Woah! The Cuban native was named Hillsborough County pitcher of the year by the Tampa Bay Times and with numbers like that, he should definitely be one of the starters right off the bat. These are just four of the freshmen coming in to play for FIU. If things go according to plan, the program is very likely to make a lot of noise in C-USA for the next few seasons. Despite absolutely owning the series 93-29, Miami has struggled mightily against their crosstown rivals making them worthy of respect. Ever since Merv took the helm at Florida International, the Blue and Gold have won 5 out of 6 meetings including a season sweep last year in convincing fashion. He bested a legendary coach, Jim Morris himself. 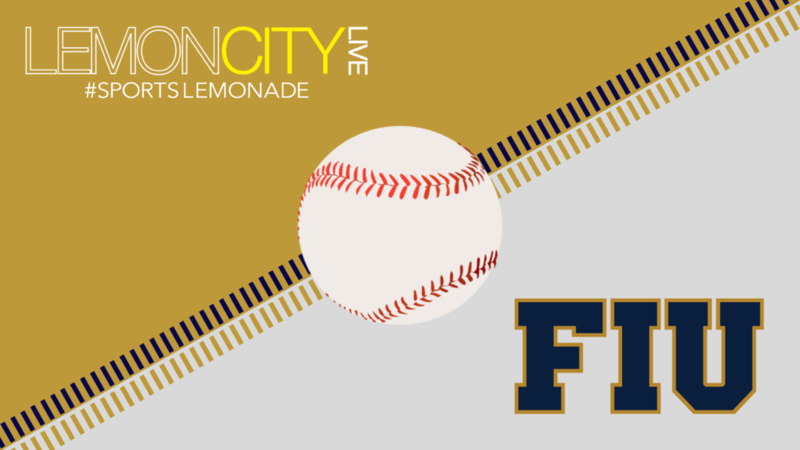 The two teams square off in another home and home series this year, with the first duel slated early in the season on February 27 at Infinity Insurance Park. They won’t play the second game until nearly two months later, at Mark Light Stadium. Still, lowkey hoping for a matchup between Logan Allen and Evan McKendry. So we got reacquainted with the veterans while familiarizing ourselves with the rookies. The program has done an excellent job during the offseason with another Top 25 recruiting class to keep FIU in the conversation. Coach Mervyl Melendez will look to improve in his third season, seeking to at the very least match his success back in 2017 when the team finished 31-27. According to D1 Baseball, FIU is projected to finish the season 26-28 but personally, I think the team will be at minimum, a .500 club. Hopefully, Merv’s guys can match his first season’s success, and more. Offensively, the team should be fine power wise. Surpassing their home run totals from last year is more than possible. Their pitching is a bit of question mark, as we will likely get our answers as the season goes on. Will they claim the title of C-USA Champions? Unlikely. But they can definitely venture deep into the conference tournament at the end of the year. FIU kicks off their season this Friday at home, hosting Stony Brook February 15-17.